Own or Run an Equestrian Business? 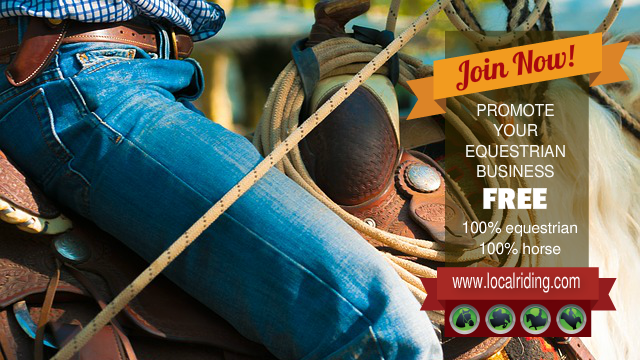 Promote your horse riding business, equestrian facility, horse show or equestrian event. Complete the submission form below and recommend an equestrian business for inclusion in our local horse riding sections. Make sure you add lots of information about you and the equestrian services you provide. Sell your service. And add your correct contact details, state or county to make sure we include you in the correct section. This may coumadin 2 mg tablet seem harsh but having done the initial cutting..
Reach Out! Help local horse owners & riders find you. If you would like to connect with localriding.com, you can find images and text links on the equestrian links page. Simply copy and paste the relevant code into your webpage, blog or forum. We only include local equestrian facilities and good quality horse riding and equestrian sites that we believe will be of value to our visitors. All submissions are manually verified for suitability. Submission does not guarantee inclusion.